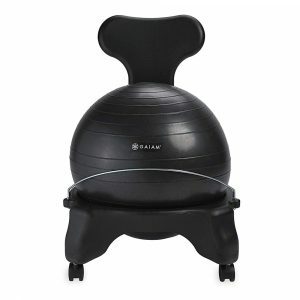 Posture modification can reduce strain on the body when sitting for long periods. 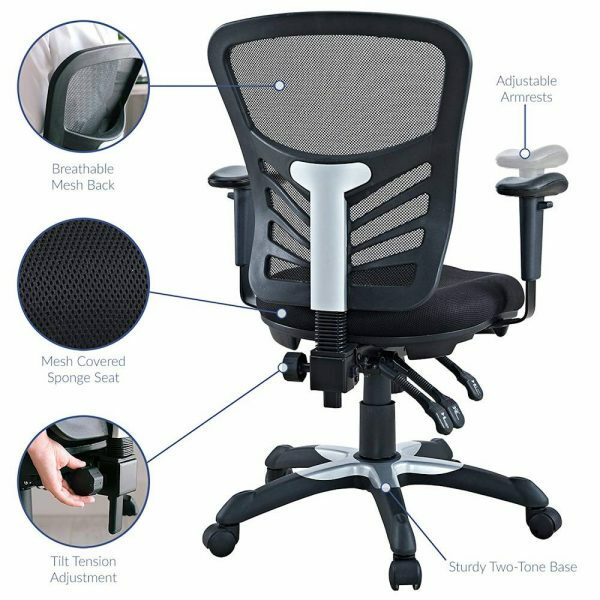 Using the best ergonomic principles, this ergonomic chair has all the adjustments you need to modify sitting posture to optimal standards for better performance and better health. 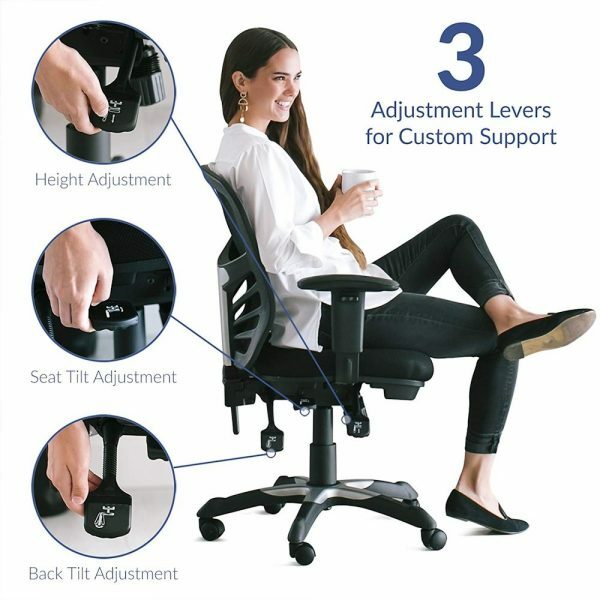 A 2012 review of scientific literature in the journal BMC Musculoskeletal Disorders found supporting evidence for an ergonomically adjustable chair intervention reducing musculoskeletal symptoms in those required to sit for prolonged periods. 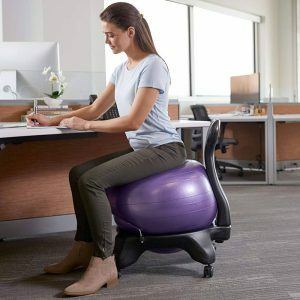 Chairs that can prevent strain of the neuromuscular system by improving postural alignment may serve as an aid in the prevention of musculo-skeletal system pain and discomfort. Adjustability to match the anthropometrics of the user is the most common recommendation. A 2006 study in the journal Occupational & Environmental Medicine found that forearm support combined with ergonomic training is an effective intervention to prevent neck and shoulder pain associated with computer work. 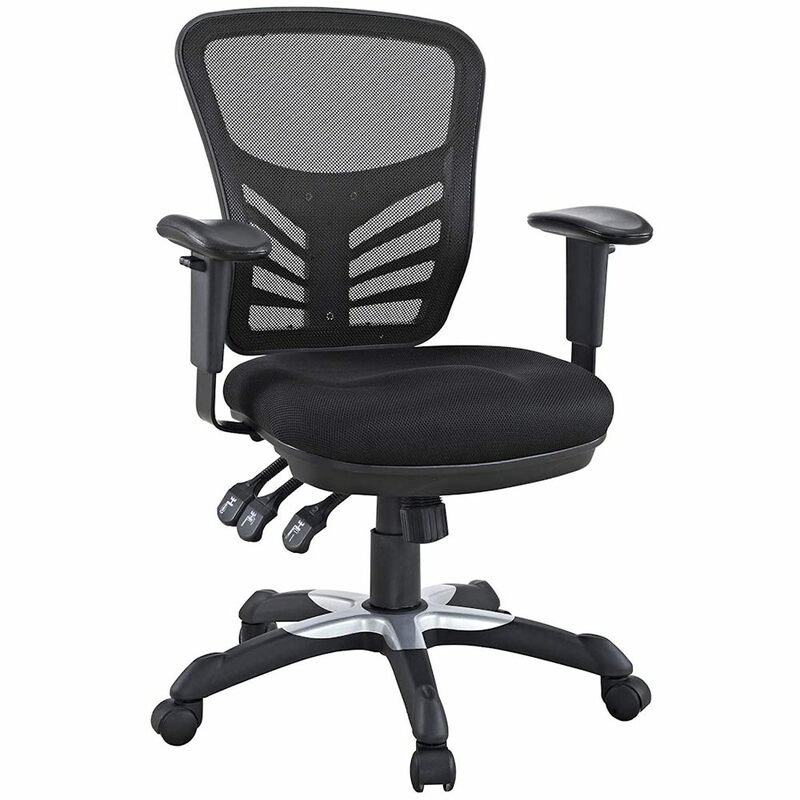 Having adjustable armrests is an important factor in allowing a more natural posture while sitting. 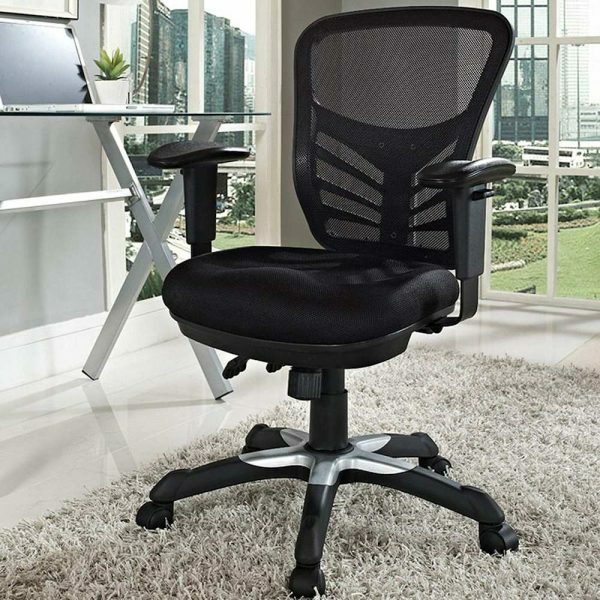 Sitting in a chair without armrests is related to neck strain from the trapezius muscle. This is a large muscle that effects the neck and shoulders. Without armrests, the muscle is subject to abnormal stress. 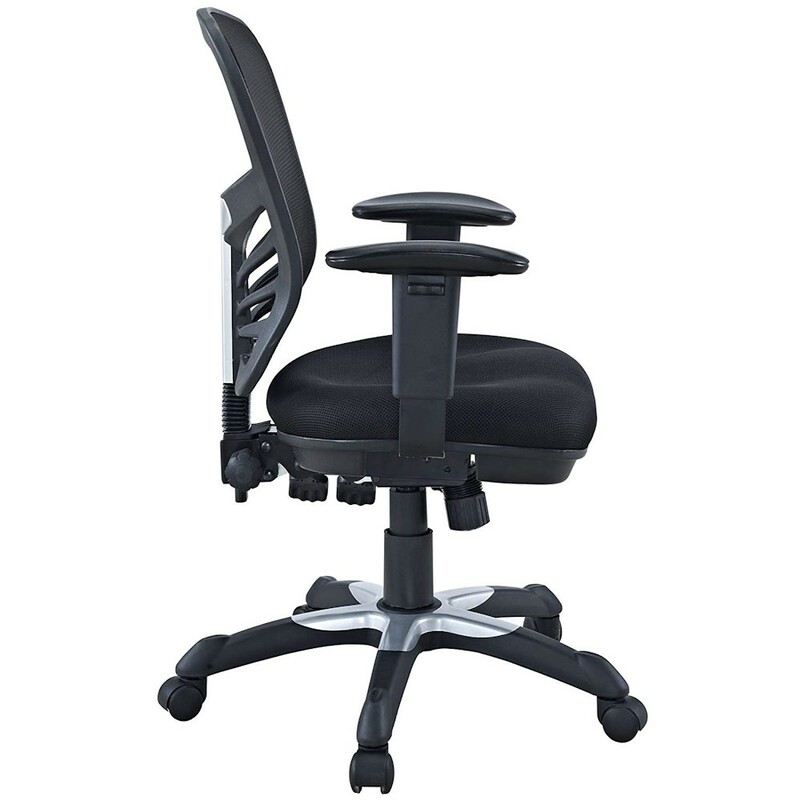 If the armrests are too high, tightening of the muscle can cause pain and postural problems. Likewise, armrests that are too low can cause the muscle to become overstretched and weakened, which is associated with rounded shoulders and forward head posture. A 2006 review in the Journal of Occupation & Rehabilitation found that resting the arms, limiting head rotation, and placing the keyboard below the elbow appears to result in a reduced risk of neck and shoulder pain. A 2017 study in the journal Work. found that inadequate chair height, arm and back rest are related to improper upper limb postures which contribute to musculoskeletal pain in computer office workers. A 2017 study in the journal Ergonomics found by measuring lumbar lordosis, intervertebral joint angles and sacral tilt, that seat tilt and lumbar support appears to improve seated postures.